Another Los-featured cut from Yung Berg, Mia Rey & Jordan Hollywood's collabo mixtape "Genesis." 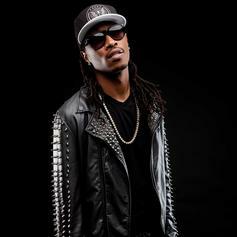 The YFM crew link up with King Los and Mickkey Shiloh on "Rock Bottom" off "Genesis" mixtape out now! 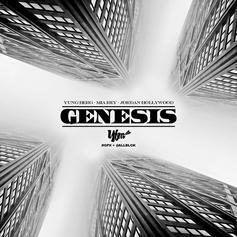 The YFM crew, aka Yung Berg, Mia Rey and Jordan Hollywood, drop off their new project "Genesis" today. Feature from Los, Don Trip, Lil Durk, Future and more. Watch Mia Rey "Beautiful" Video - it's the latest video from Mia Rey, having dropped on Thursday, August 2nd, 2012. Mia Rey's musical situation is improving with every new release, and Mia Rey "Beautiful" Video will most definitely help the cause. It's a fine addition to the growing body of work Mia Rey has been developing since stepping foot in the game. We're looking forward to what Mia Rey has in store. Bump Perfect Timing, the latest mixtape from Mia Rey, which dropped on Thursday, August 2nd, 2012. Mia Rey's horizons are broadening with each new release, and Perfect Timing is no exception. It's a worthy addition to a catalogue that has seen much growth since Mia Rey stepped foot in the rap game. We're looking forward to hearing more. Peep Mia Rey Feat. Yung Berg "Put It On Ya" Video, the latest visual from Mia Rey. It dropped on Monday, July 2nd, 2012. Mia Rey's future brightens with every new release, and Mia Rey Feat. Yung Berg "Put It On Ya" Video certainly isn't an exception. It's a fitting addition to a solid catalogue that Mia Rey has been developing since stepping foot in the game. We're excited to hear more. Watch Mia Rey "Politically Correct" Video - it's the latest video from Mia Rey, having dropped on Tuesday, April 17th, 2012. Mia Rey's musical situation is improving with every new release, and Mia Rey "Politically Correct" Video will most definitely help the cause. It's a fine addition to the growing body of work Mia Rey has been developing since stepping foot in the game. We're looking forward to what Mia Rey has in store. Give Mikkey & Mallory a spin - it's the latest tape from Yung Berg & Mia Rey, having dropped on Monday, March 26th, 2012. Yung Berg & Mia Rey's musical situation is improving with every new release, and Mikkey & Mallory will most definitely help the cause. It's a fine addition to the growing body of work Yung Berg & Mia Rey has been developing since stepping foot in the game. We're looking forward to what Yung Berg & Mia Rey has in store. Last Leak Off "Mikkey & Mallory" Mixtape, droppin on Monday. Behold Yung Berg Feat. Mia Rey "Redemption" Video, a new offering from Yung Berg, which was released on Monday, March 19th, 2012. Off "Mickey & Mallory"Check out Makin Love, the latest from Mia Rey which features a guest appearance from Yung Berg on the. The track was released on Monday, February 13th, 2012. 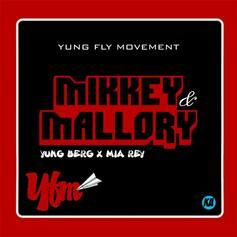 Off Berg & Mia Rey Collab tape "Mickey & Mallory"
Peep Yung Berg Feat. Mia Rey "Had It All" Video, the latest visual from Yung Berg. It dropped on Friday, January 27th, 2012. Yung Berg's future brightens with every new release, and Yung Berg Feat. Mia Rey "Had It All" Video certainly isn't an exception. It's a fitting addition to a solid catalogue that Yung Berg has been developing since stepping foot in the game. We're excited to hear more. 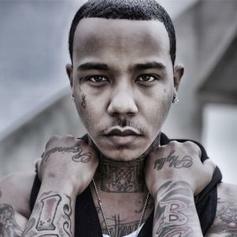 Check out Yung Berg Feat. Mia Rey "Heart Of The City" Video, the latest video from Yung Berg, released on Thursday, December 22nd, 2011. Yung Berg's chances in this game are improving with each new release, and Yung Berg Feat. Mia Rey "Heart Of The City" Video is no exception - quite the opposite, in fact. It's a nice addition to the impressive catalogue Yung Berg has been building over the years. We're definitely anticipating the next move. Listen to Tomorrow, the new track by Mia Rey featuring Yung Berg which was dropped on Monday, December 5th, 2011. 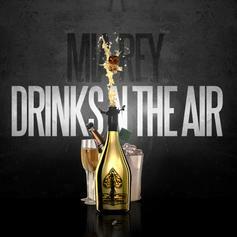 Check out This Christmas , the latest from Mia Rey which features a guest appearance from Yung Berg on the. 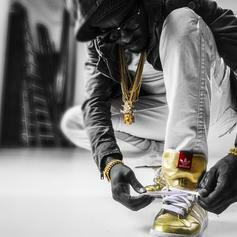 The track was released on Friday, November 25th, 2011. It's that time of the yearListen to This Christmas [Prod. Kiid Planet & Yung Berg], a new offering from Mia Rey, which was released on Thursday, November 24th, 2011. Listen to Heart Of The City, the new track by Yung Berg featuring Mia Rey which was dropped on Wednesday, October 26th, 2011. Bump Countdown (Prod by The Arsenals), the latest cut from Mia Rey featuring Yung Berg & Kid Ink on the assist. It was released on Tuesday, October 18th, 2011. Listen to Shawty U Can Get It, the new track by Yung Berg featuring Mia Rey & Dricky which was dropped on Tuesday, September 6th, 2011.